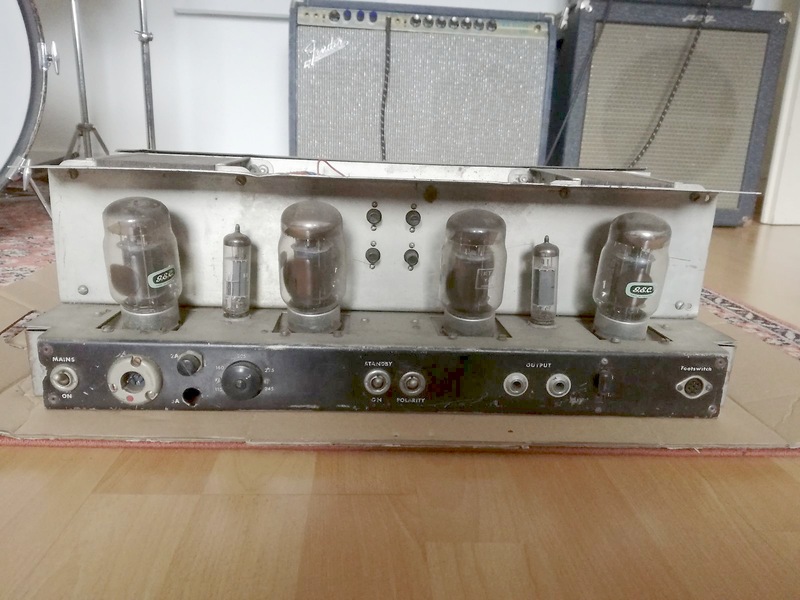 A NEWLY DISCOVERED AMP CHASSIS from Switzerland has been found to match one used by the Beatles, in Germany, on the 1966 tour (seen in photos above). 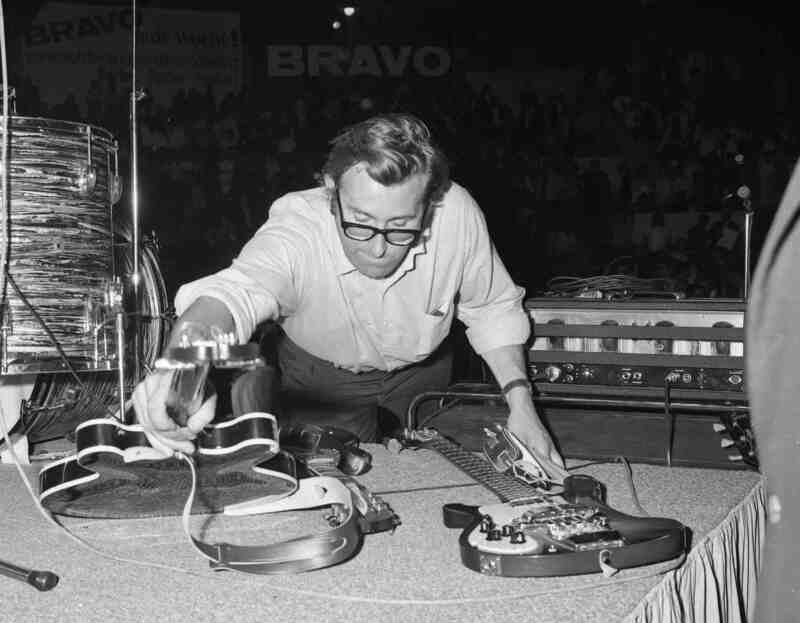 It matches and helps to explain the different construction of the Beatles proto amps. Much bigger transformers, cut-out corners, same legends, exact same proto diamond pattern/styling on front (though Paul’s had a BASS legend added on the top front panel). Despite the switches being swapped and the power socket turned and re-attached, The same marks can be seen in many areas. These include not just scratches/gouges revealing bare metal, but subtler, more complex sub-surface damage and radiating cracks to the enamel, that become more visible with certain angles/lighting. One lower transformer bolt in particular on the new Swiss amp was re-drilled, markedly higher and to the left, while the top bolt above used the pre-drilled hole. This is matched by the Beatles amp. The newly-discovered chassis was drilled in production with a larger hole for a different power socket, but then fitted with an Amphenol socket, which barely had enough metal to securely fasten a bolt. This weak and compromised setup broke with some knock, and the connector had to be turned from its normal upright position with the connector and red circle on top, to try to fasten it again. 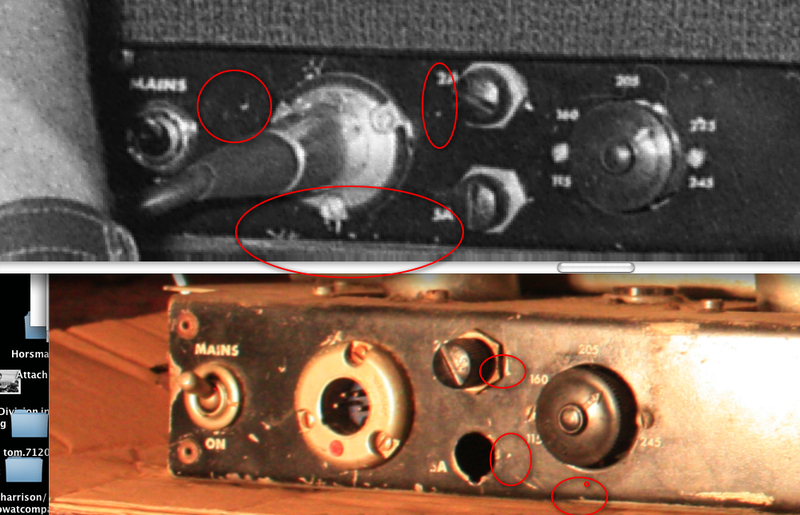 This problem, leading to a power connector oddly-turned round from normal upright position, can also be seen on a second amp used by the Beatles on the same tour. It seems the chassis on at least two amps was drilled the same way, with a bigger hole, leading to some failure of the connection. This then led to the power socket having to be turned to try to make a more secure connection. Only the top left bolt uses pre-drilled hole; the others have had to be re-drilled. Lower left bolt isn’t just shifted left, but also shifted higher. 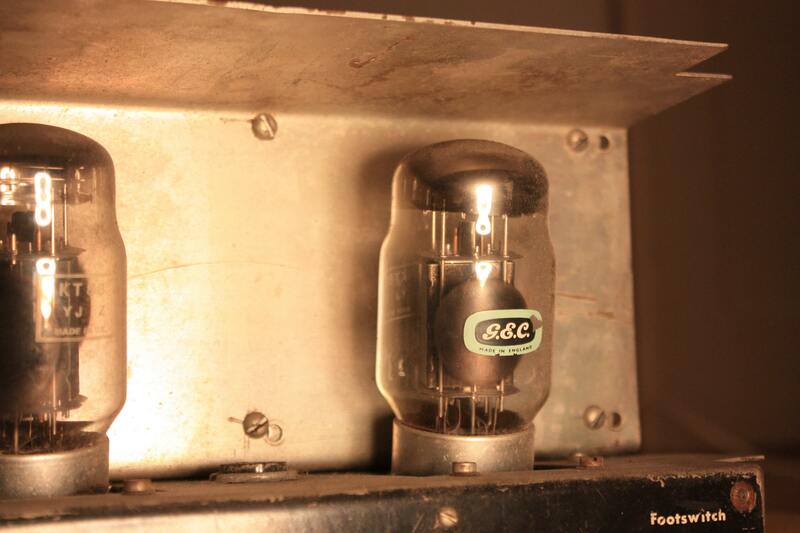 Same anomaly, same bolt, shifted in exactly the same way, higher & left, as on the Beatles amp.